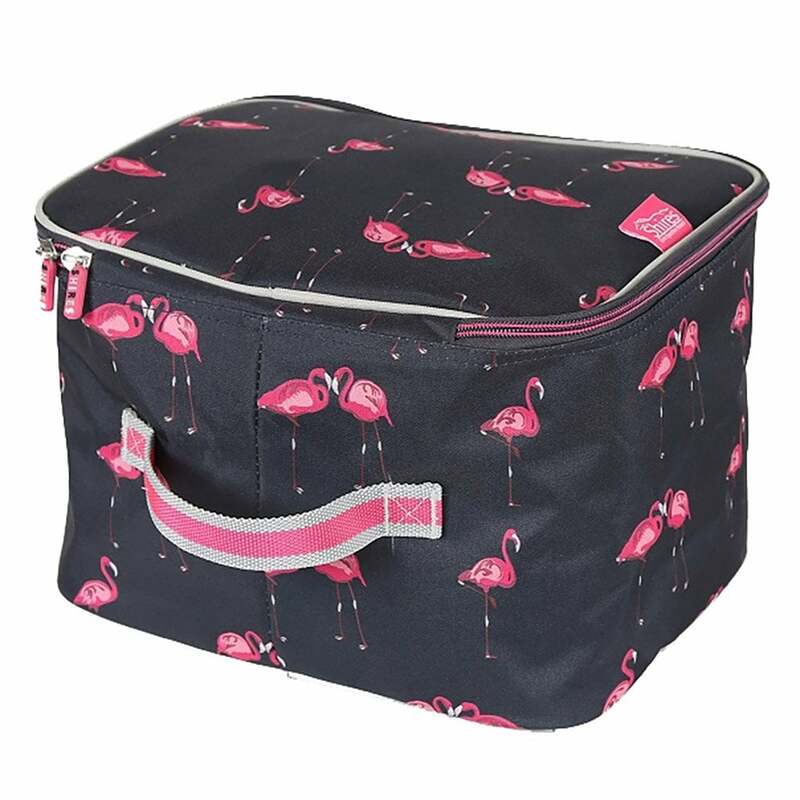 The Shires Flamingo Print Hat Bag is ideal for transport or storing your riding hat. This stylish hat bag in a fun print is durable and features a double zip opening, outer zip pocket, reinforced base and a grab handle. Ideal for use at home or at competitions.